Jenji Kohan Is Staying Put at Netflix With Exclusive New Long-term DealThe showrunner has already created Orange Is the New Black and GLOW for Netflix. Alison Brie’s Wild Women’s Wrestling Show on Netflix Finally Has a Premiere DateGet psyched for GLOW. OITNB Season 5 to Take Place Over 3 DaysYou’ve got (not that much) time. 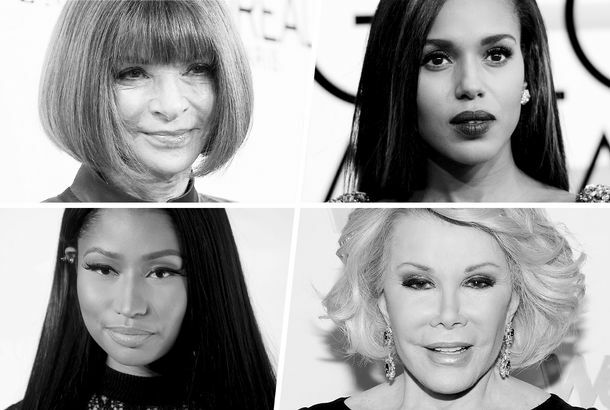 25 Famous Women on How Getting Fired Makes You StrongerLessons from Joan Rivers, Kerry Washington, Hari Nef, and more. Alison Brie Will Star in Netflix’s ’80s Lady-Wrestling Series G.L.O.W.It’s created by OITNB’s Jenji Kohan. Matthew Weiner to Direct an Episode of OITNBSo, which Litchfield prisoner worked at Sterling Cooper? Transparent Launches ‘Trans-Affirmative Action’Jenji Kohan and Jill Soloway disagreed about a few things at a Saturday New Yorker Festival panel. If You Miss Orange Is the New Black, Watch WeedsGive yourself over to the world of Jenji Kohan. Laura Prepon Will Be in ‘Most’ of OITNB Season TwoAccording to show creator Jenji Kohan. Jenji Kohan Developing a Salem Drama for HBOMore witches! Jenji Kohan Did Ask Ira Glass to Be on Orange Is the New BlackBut he said no. TV Review: Orange Is the New BlackThis comedy-drama is about a clueless yuppie who gets sent to a women’s prison. Jenji Kohan’s Week in Pop-Culture ConsumptionThe creator of Weeds and Netflix’s new Orange Is the New Black tells us everything she watched, read, listened to, and clicked on in a week. Orange Is the New Black Trailer: Go Directly to JailPrison: Now kind of hilarious! Netflix’s Jenji Kohan Series Orange Is the New Black Casts Its LeadsThe Lucky One’s Taylor Schilling and That ‘70s Show’s Laura Prepon. Netflix Circling Original Series From Jenji Kohan“Orange Is the New Black,” on TV. Industry: Chelsea Handler Gets a New Backstage ShowThe host of Chelsea Lately gets an extra half-hour. Weeds Showrunner Signs New Production DealAnd she offers one of the more colorful press-release quotes to come along in a while. Leonardo DiCaprio Gets Recognized at the HospitalPlus: Magic nerds need love, too!